Soundmask will be an exhibitor for its third year running at the Australian Medical Association's "Build Your Practice Conference & Exhibition" on Saturday September 23rd at the Melbourne Exhibition Centre. See the AMA website for details. Click here for our conference brochure. 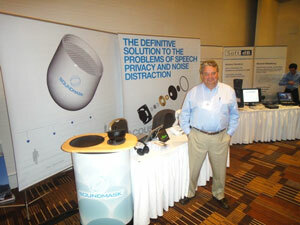 Soundmask, in conjunction with distributor Soundmask Canada, attended the Institute of Noise Control's NoiseCon 2014 in Fort Lauderdale, USA. See our stand banners below. 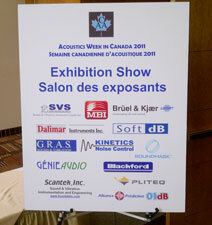 Soundmask Canada attended the Vendor's Day at the Canadian Acoustics Association Acoustics Week in Quebec City, Canada, pictured below. 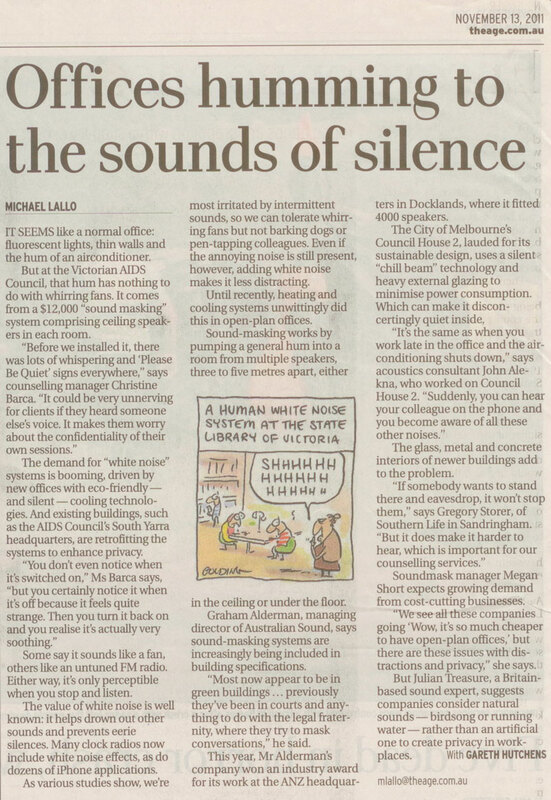 "Offices humming to the sounds of silence"
Soundmask's projects at the Victorian AIDS Council and the "World's Greenest Building", Council House 2, were featured in this article from The Age newspaper. 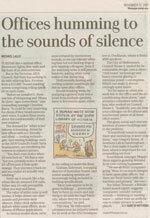 Download the print version by clicking on the thumbnail. "Acoustic Design Practices for Sustainable Buildings"
Soundmask's project at The Gauge was featured in acoustic consultant Danny Boglev's 2008 presentation at the Australian Acoustics Society conference.